Celebrate Native American Heritage Month with Nelwat Ishkamewe Two-Spirit Family! 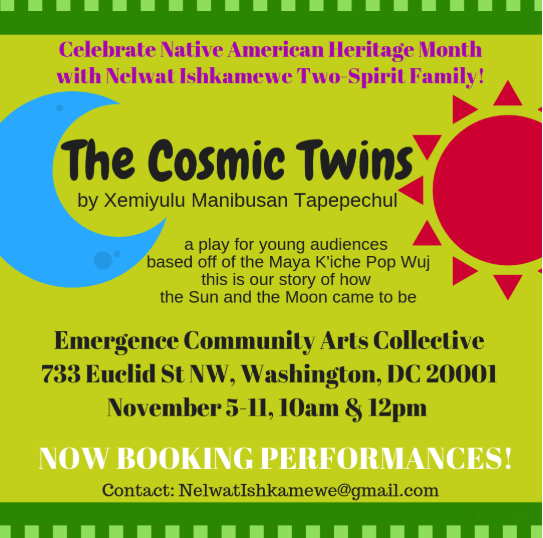 The Cosmic Twins is a play for young audience based off of the Maya K’iche Pop Wuj, a story of how the Sun and the Moon came to be. Now booking performances. Contact: nelwatishkamewe@gmail.com.